You will love this remodeled town home where you can walk to the lake and open space parks. This home is meticulously maintained, the open remodeled kitchen has a casual dining area and a door to a deck for dining alfresco, it is also open to the formal dining area and great room that features a wood burning fireplace, hardwood floors and vaulted ceilings. The main floor master bedroom has its own private 5-piece master bathroom with heated floors! Do you need a home office? There is an office on the main level with work areas included. The walk out lower level has had a new Â¾ bathroom that was recently added making this a 4-bathroom home, the lower level is great for guests, the over sized 2 car garage enters into the lower level. The upstairs bedroom and newly remodeled bathroom are private and quiet, there is a whole house attic fan for dramatic cooling in the summer on those few, extra hot days. 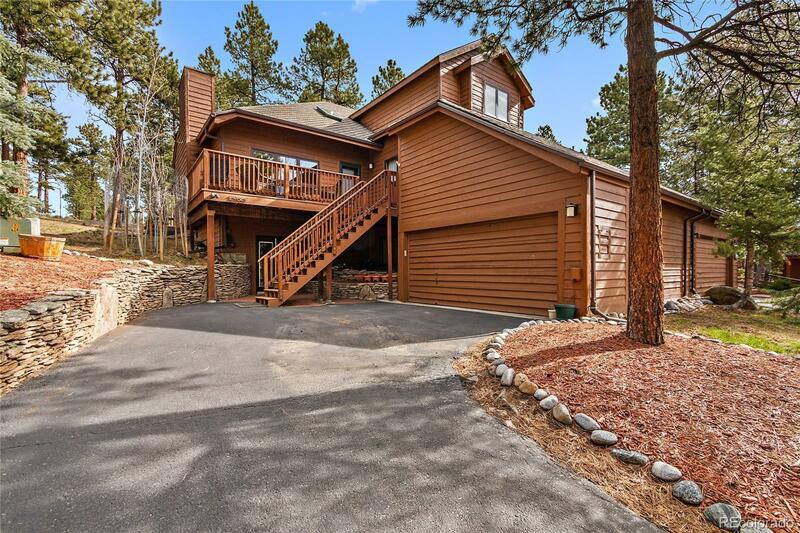 This is a coveted area of Evergreen and convenient to everything.